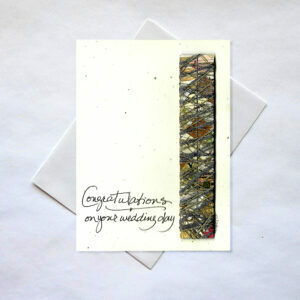 Imagine in your dreams sending the very best art cards. 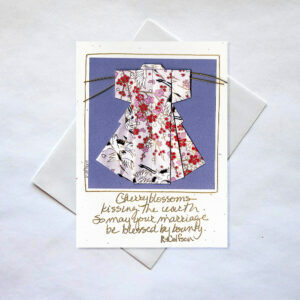 These cards are created and made by hand everyday. 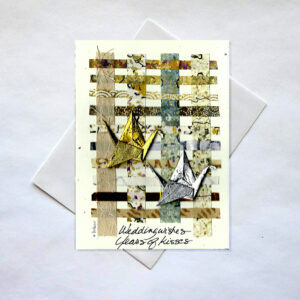 These cards feature everything from origami to wire and bead embellishments with a blend of Japanese papers and other collaged materials to make the cards come to life! 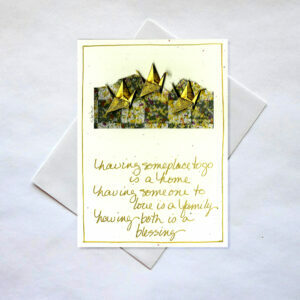 Each card is 5 x 7 (plus envelope) perfect for framing, making it a lasting memory. First class postage is all that is required. 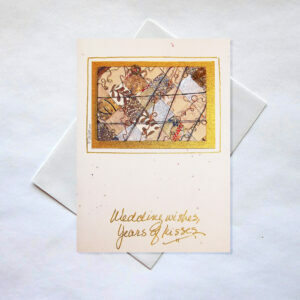 Every card is in its own sleeve with an envelope, suitable for shipping and mailing. Custom requests available.